Just a quick note to report back on several more trips to Lower Bittell, in the hope of seeing the black-necked grebe closer up. Hurrah! Success at last, as it came right over to the road-side of the lake, and fished for several minutes below where I was standing. The sun was out too, even if it was raining a little. Caught the colours of the bird very well. 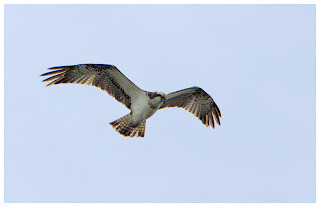 No osprey today, though it had been seen earlier in the day on the Upper lake. Caught a fish too. Hope that stays around. 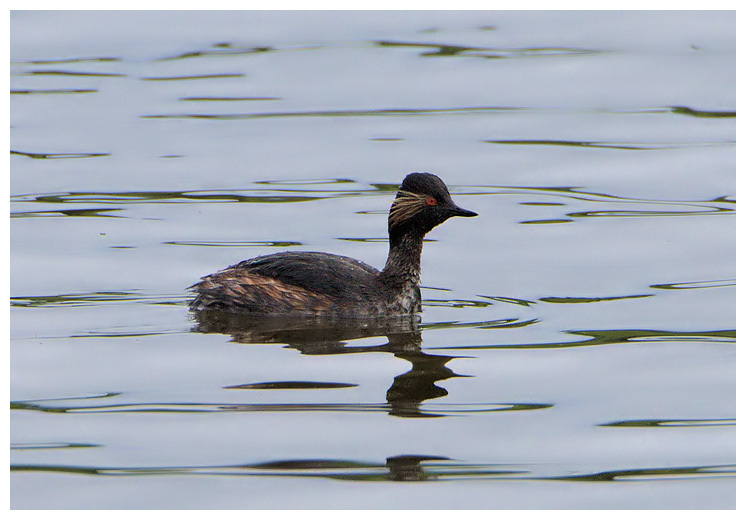 But today has been about the grebe, and it performed brilliantly. 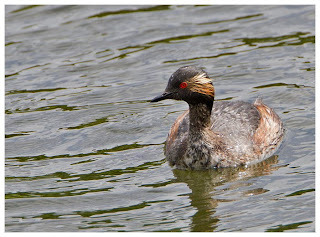 A quick scan of the various bird reports yesterday morning revealed a black necked grebe locally, at Lower Bittell. Being only a 5 min drive away, I thought why not. Got there, parked up and strolled up to the lone birder stood there scoping the bird, which probably meant it was miles off. It was. Worse still, another person later told me that it had been right next to the road first thing. Damn, and such striking looking birds too. Golf was planned for 1pm, so I decided to hang around and hope it'd venture closer to me. Various birders came and went, until I spotted Dave Jackson arriving. He'd been at Upton Warren most of the morning and seen very little. As I put him on to the grebe, I spotted what I initially thought was one of the many local grey herons, flying across the back of the lake. But something about it looked wrong. Was it really what I thought it could be? 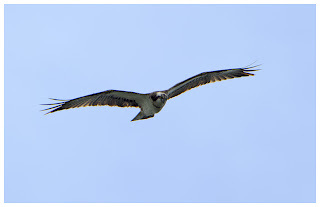 "Is that an osprey over there?" I asked as I brought my bins to my eyes. 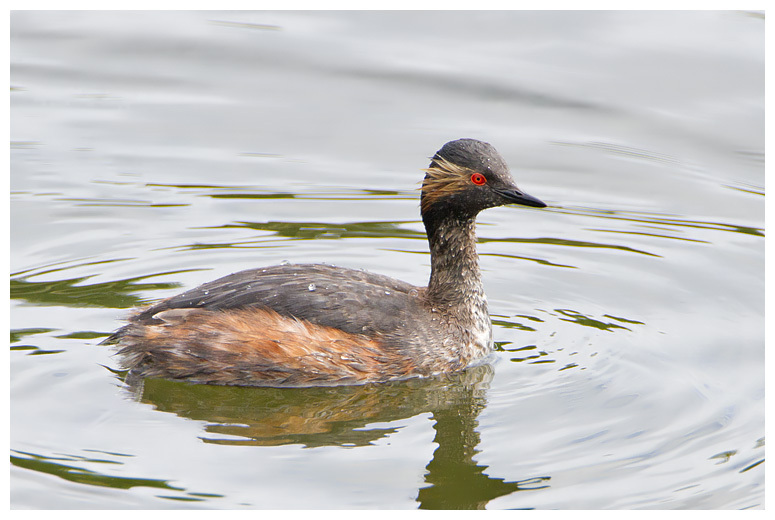 At that moment, Dave confirmed it, and suddenly the grebe was old news, as we both locked on to this new visitor. 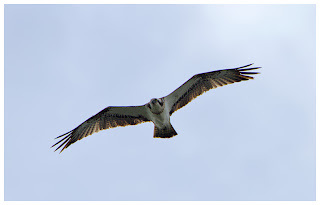 The osprey flew slowly across from the Barnt Green end of the lake, towards the road, over it and across the other smaller pool, looking all around for fish to eat (must have been short-sighted as there are loads!! ), before finally heading off towards Upper Bittell. Fortunately, the lads who'd been stood near us moments before, managed to spot it also, and they were soon back next to us, grinning as madly as me. What a find! It's great to see an osprey in Scotland or even at places like Rutland, but to see one locally was very special. Golf came and went, with a massive hail storm in the middle of the road, turning the greens white. My game was awful and best forgotten. Afterwards, I thought I'd try again for the grebe, and was greeted by hundreds of swifts whizzing over the water, chasing flies, each other and screaming by. Was amazing to watch. As the grebe was still distant, I tried my hand with some shots of the swifts, but the light wasn't great (started to rain!) 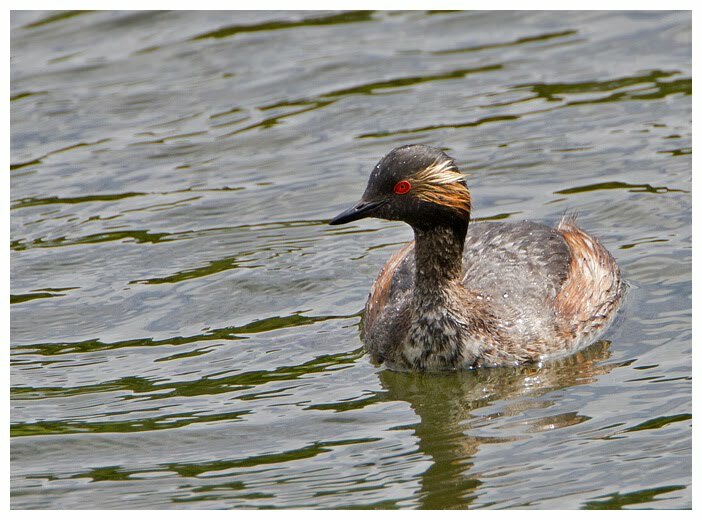 and mad for getting any detail out of them tricky (not to mention getting a lock on with the 50D and 100-400mm). 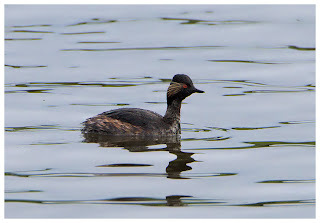 Eventually, the grebe came a little closer, though nothing like those at Warrington recently, and I grabbed a few record shots. A smashing little bird to see locally, even if it had been outdone by the osprey! After booking some time off work at long last, I had promised to take Dad to see the ospreys at Rutland Water. 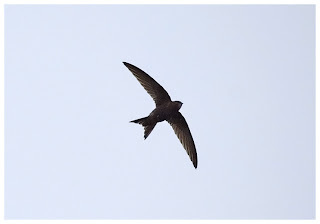 He'd never seen one before, though he has wondered about a large bird that flew over his garden last year, which was at the right time of year to see one migrating. The walk to the Shallow Water hide was long and rather warm, and also plagued with midges and flies. I've never seen a place with so many swarms as Rutland, in some cases the insects formed cloud-like mists, which we fought through. 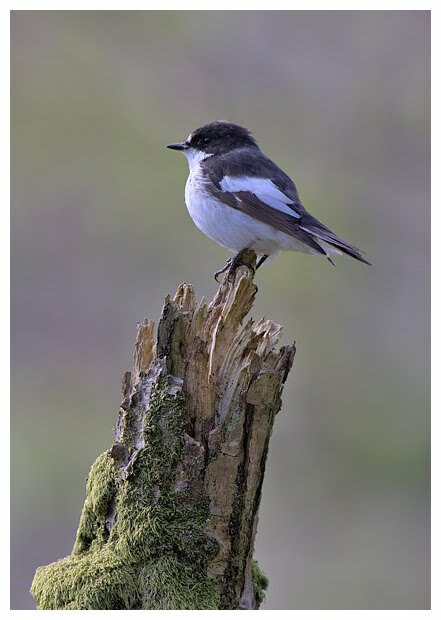 On the way, whitethroats teased us, never coming out of the bushes, and willow warblers sang from overhead wires, before flying away before we could get a shot. The hide itself was empty - rather surprising given the weather, although it was pretty windy. Outside the window, gadwalls and mallards pottered about in the water, with the first terns of the season, fluttering by, dropping like darts into the water. 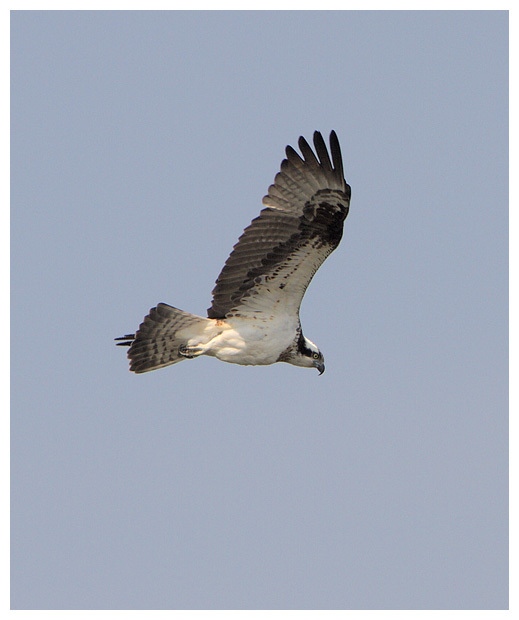 The now-common Egyptian geese also fed nearby, unlike the ospreys who were sat on the other side, on their eggs. Not quite the view I'd hoped for, though perhaps I'm spoiled after visiting Scotland last year. 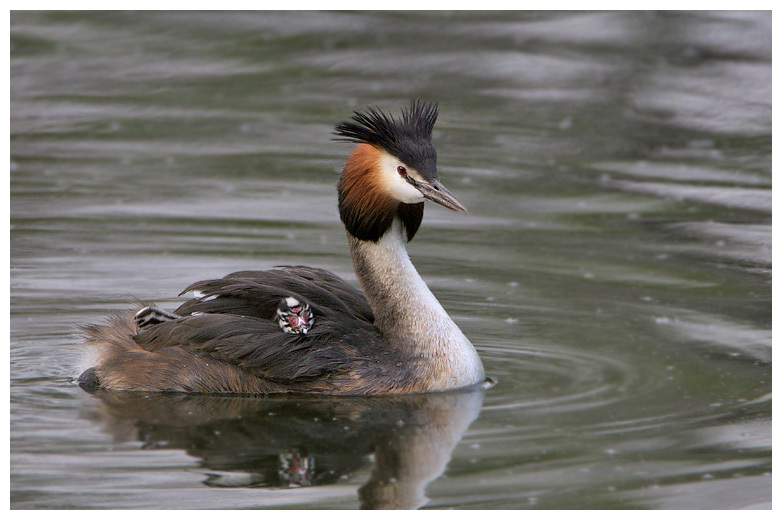 Eventually though, the male took over egg duties, and the female took off for a fly around. Given the distance she was from us, the pics came out quite well. I had worried about heat-haze, but in general that didn't seem to affect things. 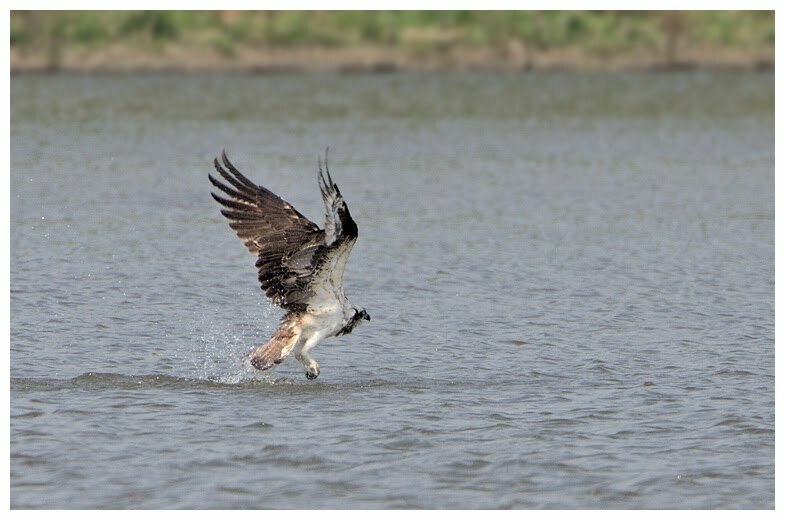 She didn't fish, but she simulated it, when going for a few dips to wash. After circling round some more, she returned and swapped back over with the male. And that was that. 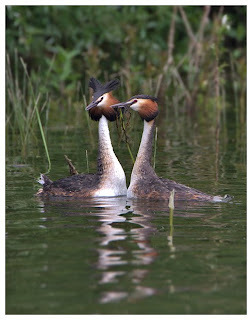 We wandered back along the lakeside, calling in at all the hides to see what was on offer, though surprisingly little. But with time on our side, I suggested we try the other side (Egleton) for a look. The feeding station was amusing, as a family of brown rats have moved in, and are taking advantage of spilled seed. Some people detest these rodents, but they amuse me. So long as they stay outside, of course! The hides on this side were more sheltered, so we sat for longer in one, watching the terns, and masses of martins. I spotted one of the ospreys from this side, and also a hobby, but that blasted overhead too quickly for Dad to lock on to, alas. With one eye on the time (it was a day before a Bank Holiday), I eventually dragged myself away, to get Dad back home and not be sat in a traffic jam. Getting home, I'd suggested we go to the pub, when opening the boot of the car I realised something, that made me feel sick inside. 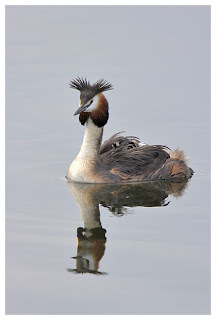 Whilst being concerned about not having Dad sat in traffic jams, I'd left the hide and forgot to pick up my camera bag. Normally, with the gear sat next to me on my seat, I'd have spotted the mistake instantly, but with Dad sat there instead, I just didn't think. I couldn't believe my stupidity and absent-mindedness, and promptly cancelled the pub trip, trying desperately to work out what to do. I was enroute back to Rutland, though knowing in my heart they'd be closed by the time I got there, when I remembered that a friend had volunteered for Rutland's Osprey Watch in 2010. I asked him for their number, and thankfully he sent it quickly. After the week I'd had (car broken into, and stuff stolen from it), this was the end as far as I was concerned. Or was it? Calling the number, a lady answered. They were still open, thank goodness. I then asked. Had anyone handed in a camera bag? They had. She had it on her lap, and was amazed anyone could have left behind something so heavy. Quickly checking it was mine, I asked a few questions about content, and she gave all the right answers. Some very kind gentleman had found it, and handed it in. To say I was relieved was an understatement. I could have cried with joy. She then allowed me to make arrangements to collect it early the next day, and the trip to the pub was back on once more. My word, I needed a pint after that scare. There seemed little point driving all the way to Rutland to just collect the bag, so I decided to take a longer look around the Egleton side of the reserve. I thanked the lady in the office for keeping hold of the bag overnight and allowing me to collect it early, and made a donation to the Trust too. I also got the name and number of the man who'd found and handed in my bag - Martin, I owe you more than a pint! You also restored my faith in humanity. Then it was off around the reserve. 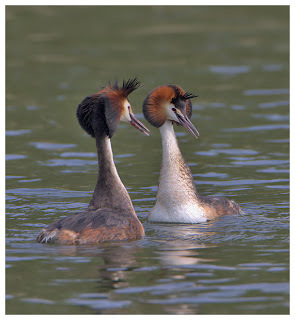 Eventually the sun made an appearance, and I got some decent views of greenshank, a grey plover, bar-tailed godwits, various warblers, including a garden warbler, and for the second day that week, the highlight was a pair of great crested grebes. Unlike the local ones, who'd already hatched their chicks, this pair were still courting. Presenting gifts to one another, performing the dance, and flaring their crests. All wonderful to observe. Less serene was the battle that occurred when another rival male ventured too close, and was attacked and seen off by the resident male bird. 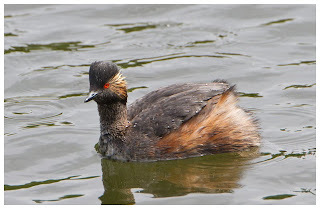 Dramatic and violent, for what is normally seen as a calm bird. More dancing followed, before they both disappeared from view into the reedbed nearby. Having missed the Royal Wedding (such a shame - yes, I am being sarcastic), I headed back to go to watch Brit Floyd perform at the NIA. A great gig, and a good end to what could have been such a very different week. 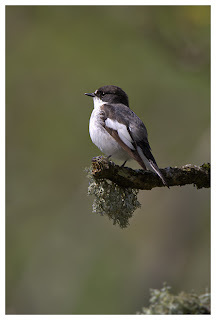 About this time of the year, I try to locate some pied flycatchers, usually in the middle of Wales. I have some favoured locations, though this time I thought I'd try somewhere new. Gilfach Farm is a Wildlife Trust reserve, a short distance from Rhayader, nestled in steep-sided valleys, with a stream running through it, and woodland, farmland and heathland around. Finding it was easy enough, and after speaking to previous visitors, I knew roughly what to do when arriving. The first surprise of the day though, was seeing Bob in the car park - he'd already been there for several hours, and happily showed me some fantastic shots of redstarts and pied flycatchers. As he did, I could hear several redstarts calling nearby, so things looked very promising. I have to say at this point, that this reserve is one where photographers are very much looked after. 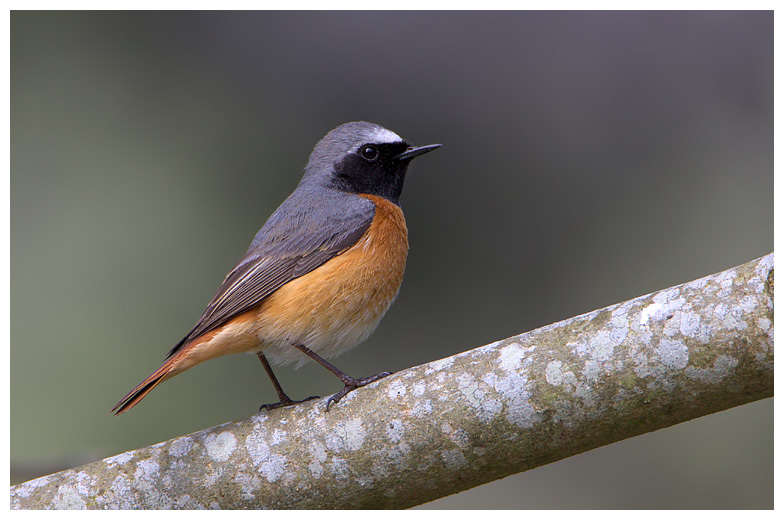 So many reserves are solely aimed at birders, with hides miles from the action, making getting good shots a case of good fortune. Having heard tales of actions of some stupid togs, I can see why, but Gilfach Farm very much favoured us lot, and the wardens actually apologised when their duties took them close to the birds! And what birds! 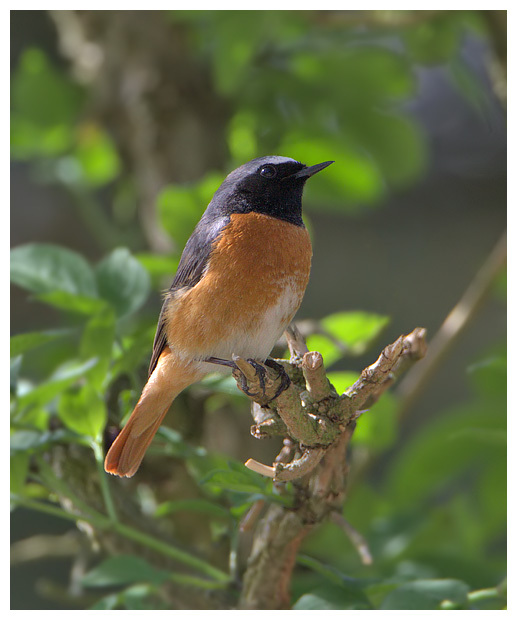 There were about 3 common redstarts, flitting around the courtyard, dropping down from the trees for the mealworms laid out, plus a rather brown-looking male pied flycatcher, also after the food. With the birds landing in shaded, then bright sunlit areas, and never staying still for long, the auto-ISO feature on the camera came into its own, and even shots at 1600 ISO came out well. 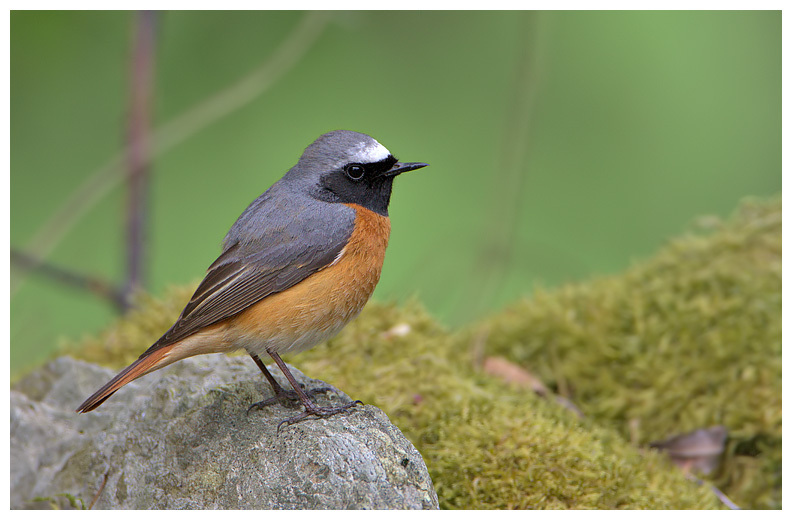 After filling my boots with shots of the redstarts, I had to stroll down the lane to the Otter Hide, which overlooks a stream, cascading over rocks, and between several gnarled old trees, to which several nestboxes had been nailed. Guarding these were a pair of male pied flycatchers, who seemed very tolerant of one another. 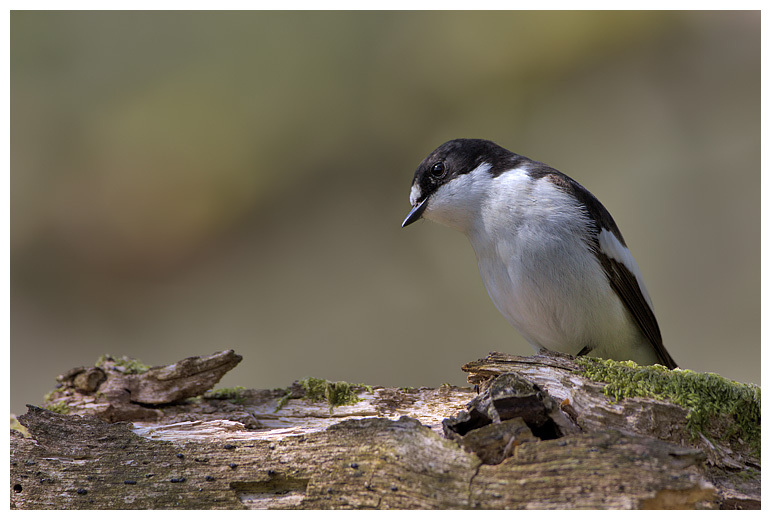 With lichen-covered branches, old wood and moss galore, I was able to get some gorgeous shots of the birds, as they seemed to enjoy posing on different perches for shots. 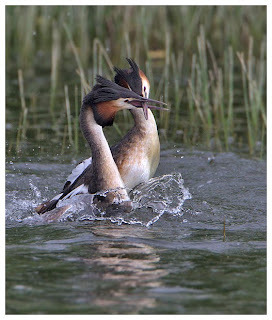 They were too close at times, and I had to drop back to the straight 500mm lens, and even stand back in the hide to get the bird in focus too! Wonderful, and I stayed there for hours, I have to admit! There was supposed to be dippers around too, but I never saw them, though a pair of grey wagtails skipped and hopped, and wagged of course, their way up stream. Eventually I dragged myself away from the hide, and back to the car, for a quick drive into the Elan Valley for a look around. 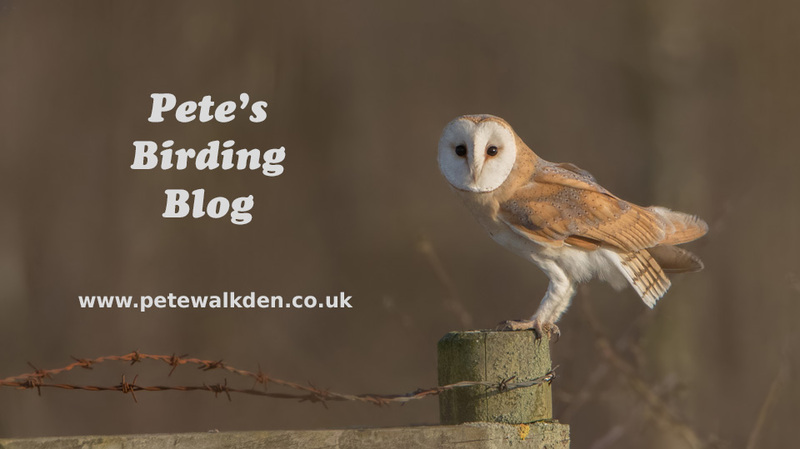 Not much about, apart from martins, the odd buzzard and red kite, plus a wheatear that posed on the dam wall. But stood at the top of a dam, with breath-taking scenery, hardly a breath of wind, sunshine and the smell of Spring blossom, it was very, very hard to get back into the car for the drive back to Birmingham! 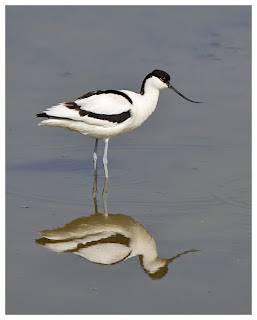 After taking Dad to see the seasonal stars at the Flashes, such as the avocets, common and green sandpipers, I was chuffed that he'd got to see some new birds - I'll get him to start making a list one day! 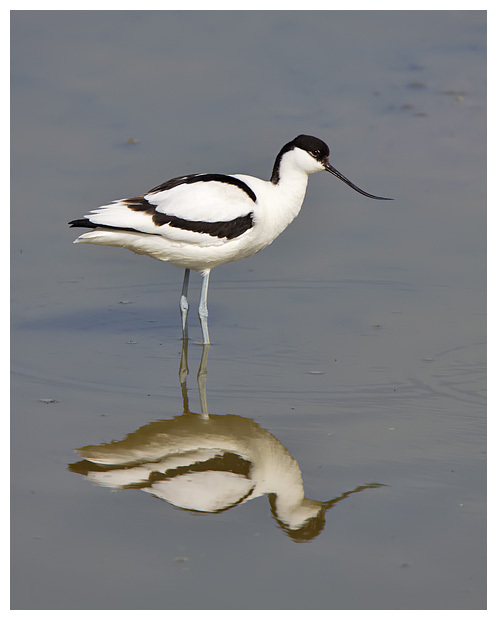 Being such a calm day, the avocets gave great reflections on the mirror-like water, and better still, came pretty close to the hide. They look so elegant, until they start protecting their young later in the year. 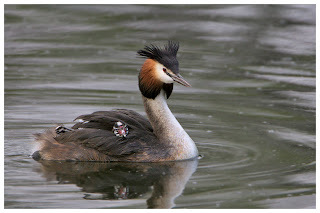 So I was expecting to see some lovely shots from Dad, but was surprised further when he presented some wonderful shots of great crested grebes he'd been fortunate enough to see locally (Bittell), where the parent birds were feeding their young, nestled snuggly on the back of one of the adults. Needless to say, I shot off down there as soon as possible, though initially the birds (2 adults and 4 chicks) kept their distance. You don't get anything in this game by giving up, so I tried again, and then again on another day. At the 4th attempt, when driving past on a whim, I spotted that the birds were close to the road, so parked up, and scuttled back to the lakeside for some shots. What a fabulous sight, watching the chicks riding around on the back of a parent, their humbug-like heads peeking out from the feathers, occasionally disappearing completely from view. 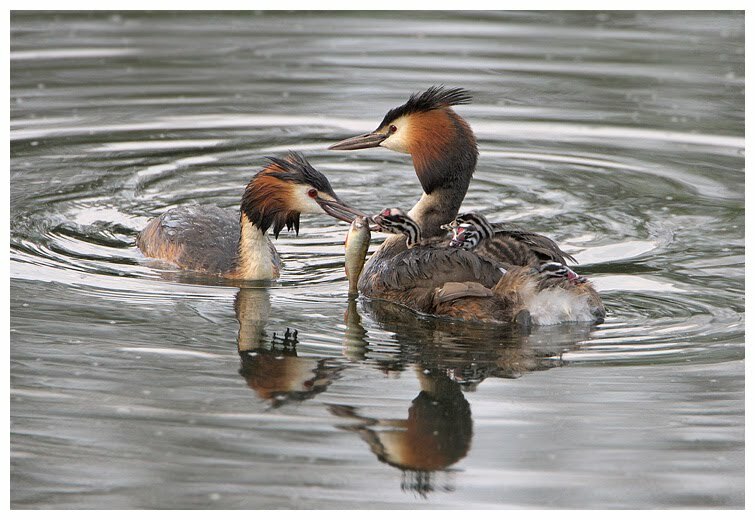 And the other parent, out fishing, bringing back tiddlers for the chicks to scoff. 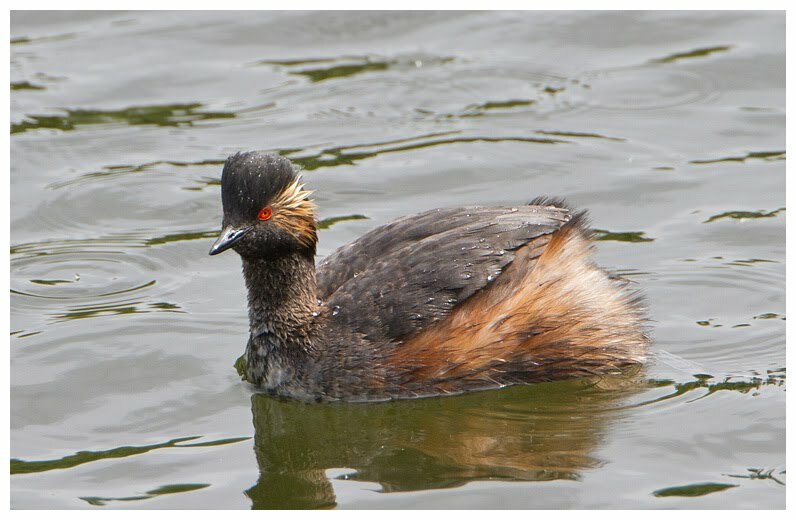 At one point, the fishing grebe brought back a fish that seemed a tad too large for the chicks, but systematically tried to feed it to each chick, moving on to the next when it failed to consume it. Probably annoying for the birds, but provided fantastic photo opportunities for me, stood nearby. Eventually the fish was eaten by the fisher, who promptly returned with a smaller one, for a lucky chick to scoff down. 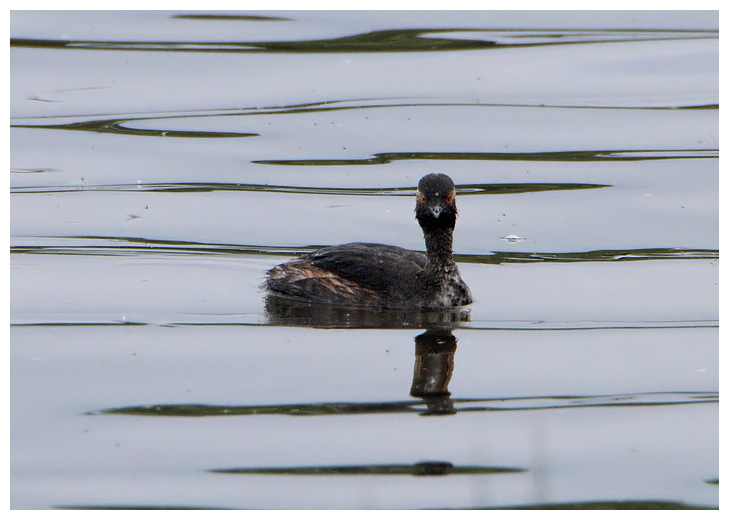 The calm water also allowed me to get some reflection shots of the grebe carrying the chicks, and reminded me that I don't always need to drive miles to get good photos.